Welcome to your resource for property listings in Maryland, Washington DC and Virginia! Listings are updated every 15 minutes direct from the regional Multiple Listing Service (MLS), Metropolitan Regional Information Systems, Inc. (MRIS). 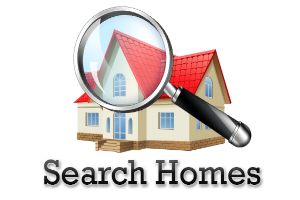 There are multiple ways to search for homes. You can even save your searches and sign up for auto listing alerts to be notified as soon as a property fitting your criteria hits the market. If you have any questions, please feel free to reach out to me by phone, text or email. Choose the search type that is easiest for you to use and feels the most comfortable. This search can be accessed by hovering over the Search For Properties link at the top of any webpage and selecting Quick Search from the drop down. This is the quickest way to search by City, Zip Code, Address, or MLS# and you can quickly select what type of sales you want to see. You can also search by bedrooms, bathrooms and price range using this option. You may also see the Quick Search options pop up on the right side of a page as long as you are not on the home page. You can utilize the most options using this search. Advanced search can be found by hovering over the How to Search for Properties link at the top of any webpage, and selecting Advanced Search. You can use almost any search criteria to narrow your search to get as specific as possible. First, select your State, County, City, Zip Code or Neighborhood to search for listings. You can select specific property types (Condo, Townhome, Detached Homes, etc), Size, Year Built, Amenities, Schools, Home Styles, and proximity to bodies of water. You may also search by sale type (Foreclosure, REO/Bank Owned, Short Sale, Standard Sale, Etc.). If your search does not return any results, select Modify Search at the top right of the search page to deselect some of your options. If you are looking for something VERY specific and there are no search results, Save Search and you will be notified as soon as a property fitting that criteria becomes available. You can save as many searches as you would like! This search option can be found by hovering over the How to Search for Properties button on the top of any webpage and selecting Map Search from the drop down. Using this search you can scroll or select the +/- buttons on the left of the map to zoom in and out of your desired market area. To narrow your search, use the Search Filters drop down on the top left of the map. You can select location, price, bedrooms, bathrooms, and property type. If you want to see these results as a list instead of a map, choose the Results tab at the top left of the map. Listings show as glowing circles, and the number of listings within that area will show within the circle. As you zoom in you can see the individual listings. Click on the black price tag to view more information about the particular listing. You can save that listing to your Favorites to view later from this popup. Searching on your mobile device and want to quickly see nearby listings? Click on the bullseye logo right below the +/- zoom symbols on the left of the map to enable Geolocation. Make sure you allow your device to use your location! Use any of the above search methods, but under Property Types make sure the only box checked is Rentals. Single Family Homes, Condos/Townhomes, and Townhomes are selected by default in each new search. You will need to uncheck these options and scroll down the check only rentals, or you will also see homes for sale in your results. Do not select a distressed property type in the Advanced Search as this is only for sales. You will be asked to register after viewing 3 listings or searches. Just put in your information and you will be granted full access to search for any property listed in the regional MLS in Maryland, Washington DC, and Virginia. This is a FREE service that I provide to my clients. Your information will never be shared. Feel free to call/text/email me anytime with specific questions about property listings or if you need help using my website. Then continue below to save a preferred search. Quickly pull up the latest listings that fit your criteria without having to repeat your searches. You can save as many searches or listings as you want! To save searches, first conduct a listing search using the above ways to search. On your search results page, select Save Search at the top right. Type the name of your search (something easy to remember, like Upper Marlboro MD Luxury Homes for Sale). If you have not already logged in or registered for an account, you will be asked to do so. Automatic listing updates to your email are already checked below the name of the search. Select the Save Search button at the bottom of the box and you are done! You can save as many searches as you like. Make sure you are logged in, then go to the top right of any page on my website next to the Welcome greeting and select Saved Searches or Saved Listings. 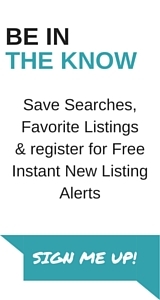 You will be able to modify saved searches, rename searches, turn email listing alerts on and off, and view updated listings in your search by clicking View Search Results. At the bottom of the page you can choose how often you wish to receive your email listing alerts (called Housetracks by my website provider). You can choose to receive these new listings daily or once per week on any day of your choice. Make sure you save your changes at the bottom! Stuck? If you get overwhelmed and would like me to set up a custom search for you, just contact me and let me know what you are looking for. Call or text me at 443-532-8917 today for immediate assistance.